One of the reasons these sickos aren’t charged is because when it comes to keeping its peacekeepers in check, the UN passes the buck. 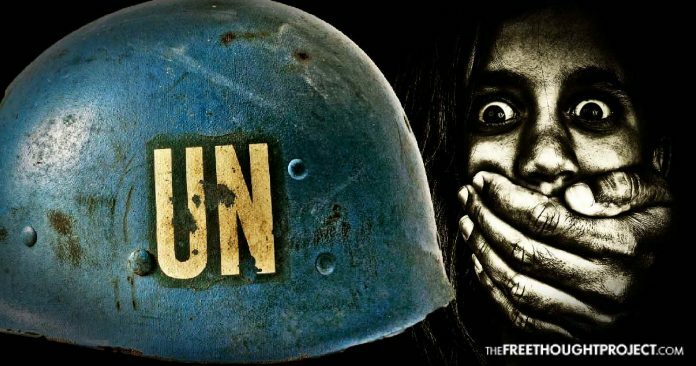 So, as reports of sexual abuse and child exploitation pour in to the UN (2,000 over just the last 12 years), the countries sending troops either remain ignorant or deliberately refuse to hold these people accountable. As the Free Thought Project reported earlier this year, UN spokesman Stephane Dujarric explained how they pass the buck in situations like this.